>Green coffee beans may be effective for weight loss, partly because they seem to regulate blood sugar. Reducing blood glucose levels, which promotes the burning of fat for energy. Enhancing fat metabolism. CGA has been shown to suppress fat absorption and increase fat metabolism in the liver. >Green coffee beans (GCB) are beans from coffee plants (genus Coffea) that have not undergone the roasting process. 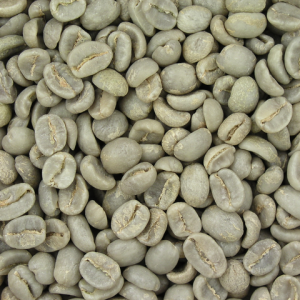 They are known for their high chlorogenic acid (CGA) content, which is significantly reduced by roasting. Recent research suggests that chlorogenic acid could benefit cardiovascular health and act as a fat burner. 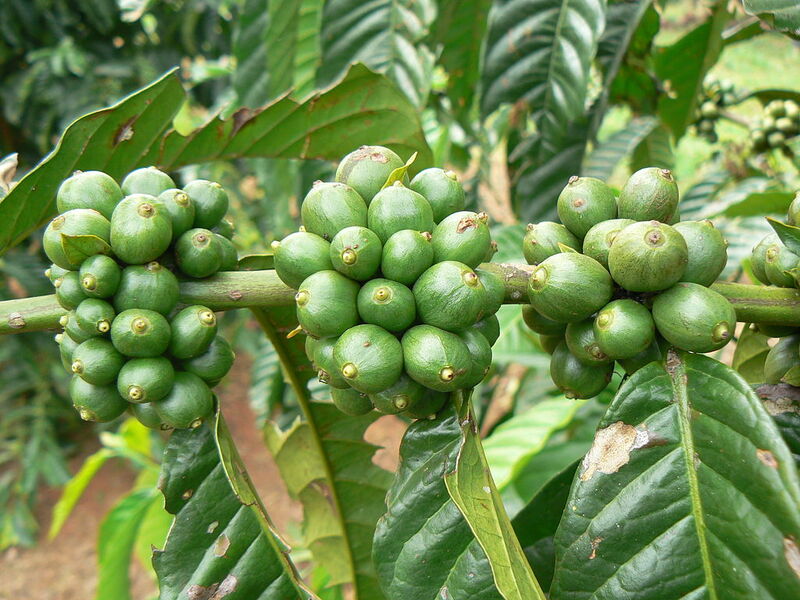 Despite this, green coffee beans have seen some controversy. Most notably, popular TV personality Dr. Oz touted GCB extract as a miracle weight-loss drug, citing a questionable study to support his claims. This study was later retracted as the two researchers who were paid to write the paper could not verify the data. Meanwhile, Dr. Oz was criticized by a panel of U.S. senators for his promotion of dubious weight loss products. ain active ingredient in green coffee beans – chlorogenic acid (CGA) – is believed to work in two main ways. , CGA appears to suppress the activity of an enzyme called glucose-6-phosphate, which is used by the body to release glucose into the bloodstream. Second, it also appears to inhibit the absorption of glucose in the small intestine. These two bio-activities result in lower blood glucose levels, promoting the release of fat from fat cells to make up for the lower glucose and leading to weight loss. In addition to its weight loss effects, CGA may also be beneficial for dealing with one of the negative impacts of weight gain – higher blood pressure. Research suggests that this effect is the result of CGA increasing the amount of nitric oxide — a potent vasodilator — present in the blood. en coffee bean extract is touted as a natural weight loss supplement. Despite the Dr. Oz controversy, clinical research has demonstrated that green coffee bean extract helps with weight loss by promoting the burning of fat and inhibiting its absorption. Having said that, researchers stress the importance of further research for several reasons: existing studies may not be of highest quality, use different research methods, and lack long-term data. al trials corroborate the findings of animal and petri dish studies. This randomized trial looked at the effect of decaffeinated green coffee bean extract Svetol on weight loss. Fifty overweight individuals were split up into two groups for 60 days: group one received a placebo twice daily, while group two received Svetol instead. At the end of the experiment, the Svetol group lost an average of 4.97 kg vs only 2.45 kg for the placebo. This study was performed in two parts: first, the researchers compared the effect of normal coffee versus coffee enriched with chlorogenic acid (CGA) on glucose absorption in 12 volunteers with normal body weight. They found that coffee containing 90-100 mg CGA appeared to reduce glucose absorption by 6.9%, leading to lower blood glucose levels. Second, they looked at the weight loss effect of normal coffee versus CGA-enriched coffee, taken as part of a regular diet in 30 overweight and obese individuals. Each group drank a total of 5 cups a day, with the CGA group consuming a total of 450-500 mg CGA daily. They found that the group taking CGA-enriched coffee lost 3.6% of their body fat after 12 weeks, versus 0.7% in the normal coffee group. This study looked at whether chlorogenic acid (CGA) could improve cardiovascular health. Twenty-three healthy men and women were split up into 2 groups, the first receiving water (placebo), while the second received 400mg of CGA dissolved in water. The major finding was thatxcv the CGA group had significantly lower blood pressure. This paper reviewed a total of 6 existing trials that studied the effects of GCBE on weight loss. This review found that GCBE did have a significant weight loss effect, however the effect was only present for obese and overweight individuals, whereas people with normal weight saw no benefits. t-size: 14pt;">Green coffee bean extract 1-1.6 grams daily. Green coffee bean extract is a solid addition to a weight loss regimen. Although researchers stress the need for more high-quality clinical trials, existing data suggests that GCB extract helps overweight and obese individuals burn fat. Most clinical studies use 400-500 mg CGA, which translates into 1 g GCB extract. Given that the large majority of GCB extracts supply 50% CGA, 1 g should be enough to see beneficial effects. In addition, you can try upping your dose to the 1.6 g recommended by most GCB extract supplements.